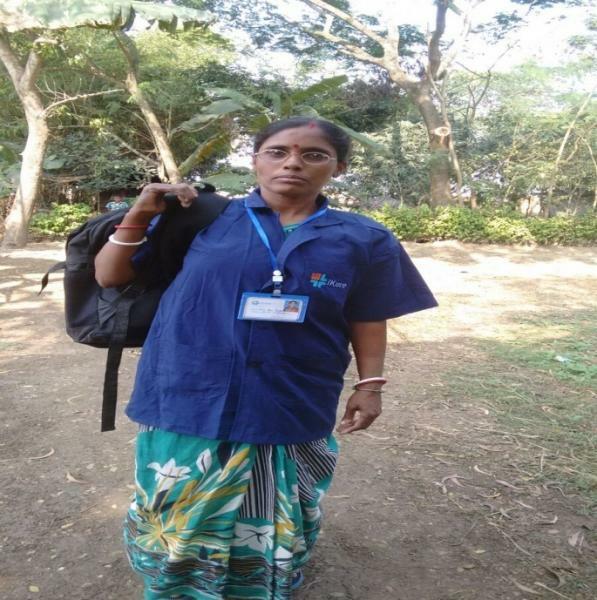 Sneha’s new borne baby was suffering from ABO incompatibility, which can cause jaundice and anemia, and was severely underweight when she met a community health worker at a health camp organised by iKure Techsoft. Sneha, a resident of Haveri village in rural, remote Karnataka, was unware of her child’s critical condition and was rushed to the hospital for emergency medical services. Her baby is now healthy and sound- all thanks to the timely support and counselling she received from the iKure’s community health worker. Sneha’s case is not uncommon. Women in remote, rural communities face severe health risks and suffer from complicated pregnancies. A critical shortage of doctors, resources and facilities reduces the effective delivery of much needed primary care services, and especially mother and child care in such regions. Recognising the gap, iKure deployed community health workers (CHWs), who are extending access to critical information that alters the care seeking behaviour of pregnant women, their husbands, family members and the community in general. This intervention has been carried out in 15 villages in Haveri District in partnership with Deshpande Foundation. The journey of iKure was started when the man behind iKure, ‘Sujay Santra’ witnessed the difficulty his father had in accessing healthcare when he suffered from a cardiac disease. Realising the acute shortage of healthcare facilities in rural India, iKure was incepted in 2010 with the initial seed funding from West Bengal Electronics Industry Development Corporation Limited (WEBEL). iKure started with the aim of providing accessible and affordable healthcare leveraging technology. However, they soon realised that to create healthy rural communities, merely focusing on primary care will not treat illnesses from the roots. With this in mind, iKure radically added a business to business (B2B) model where, deploying low-cost models, data analysis technology, and strategic partnerships, would help them identify and treat the root causes of diseases. Integrated with a cloud based technology platform called Wireless Health Incident Monitoring System (WHIMS), which diagnoses and screens diseases, iKure is now creating a more holistic & cost-effective method of managing community well-being. To this end, iKure has been working with global research partners to implement strategic interventions to build and transform the health ecosystem in India’s rural villages. 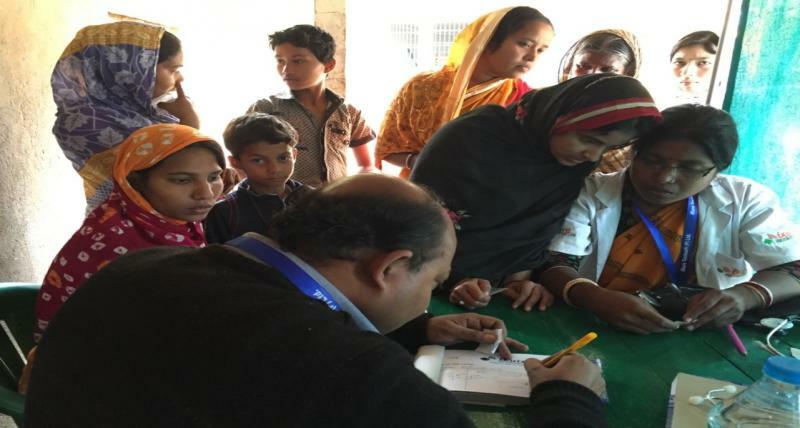 With the University of Michigan and McGill University, iKure is delivering a cost-effective mother and child health care program in Paschim Midnapore district, West Bengal. At the ground-level, iKure is working with PRADAN &TATA Trust to serve a captive customer base of two million rural patients 8 states 50 blocks starting with Torpa in Jharkhand. Furthermore, together with Deshpande Foundation, iKure is working aggressively towards reducing maternal mortality rate and infant mortality rates in Haveri district in North Karnataka. Considering the dearth of trained health workers in rural settings, iKure is also creating trained community health workers through their livelihood program that trains and empowers them through short term training course to act as a first point of care in the remote communities. In a span of six years, iKure has gained a captive customer base of more than 2.5 million, and iKure’s services have been widely accepted by the community members. Going forward, iKure aims to reach out to more remote, rural regions in India even if there are likely to be challenges associated with the expansion. As iKure has learnt, local healthcare needs call for local solutions, which requires a deep understanding of the local population, their healthcare needs and their willingness to pay for such services. Hence, iKure’s participation in CHMI’s learning programme has helped the team to develop and test a health care model that serves the real needs of the rural communities across India. As many know, a program’s journey to scale has its share of challenges. Therefore, iKure used the Center for Health Market Innovations (CHMI’s) Learn and Launch programme, to better understand key challenges preventing scale and to develop health-focused business ideas. When asked about the program, Sujay shared that CHMI is a powerful platform that enables deep understanding of various challenges and innovations in the health market. The programme enabled iKure to streamline its messaging and communication with respect to marketing and associated business processes. Sujay and his team are now gearing up to expand in eight states, impacting eight million new patients in the next two to three years.